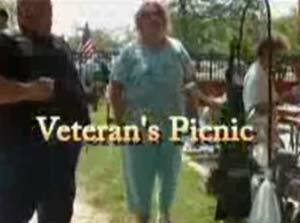 Meetings are open to any Veteran! 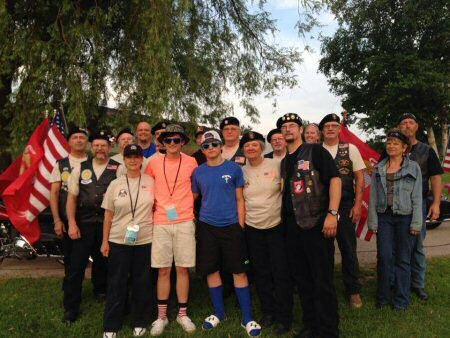 Members who rode into Camp Hometown Heroes to honor those kids who lost a parent, brother or uncle since Sept 11th. Check out our newsletters to get up-to-date on the activities of District 2 members. 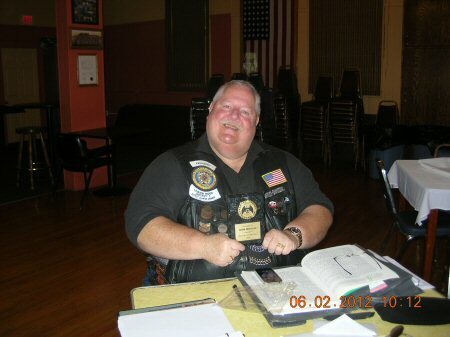 The June 2012 edition contains news of fundraisers, upcoming elections and events. Check it out! 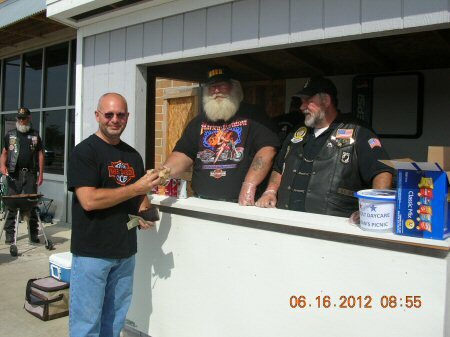 Our Annual Brat Fry was held on June 15, 2013 at Pick n Save in Saukville. 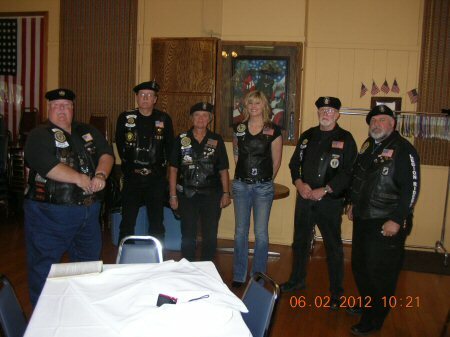 Here are some of the members who helped out. Thanks everyone. 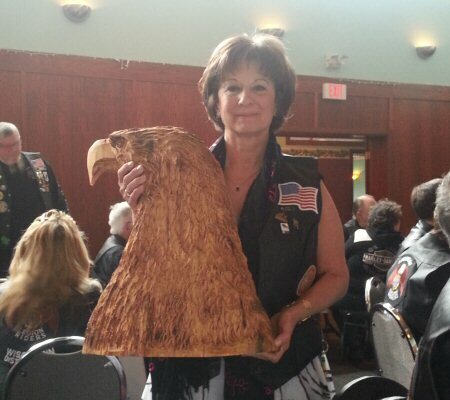 Sue Turowski was presented a carved wood Eagle in appreciation for her donation to Camp American Legion. 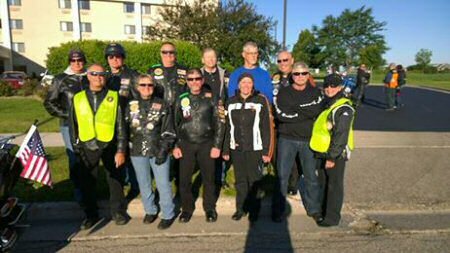 District Two's season commences with it's first monthly membership meeting at Howard J. Schroeder Post 457, 6006 W. Mequon Road, Mequon at 10:00 a.m., Saturday, March 6th. 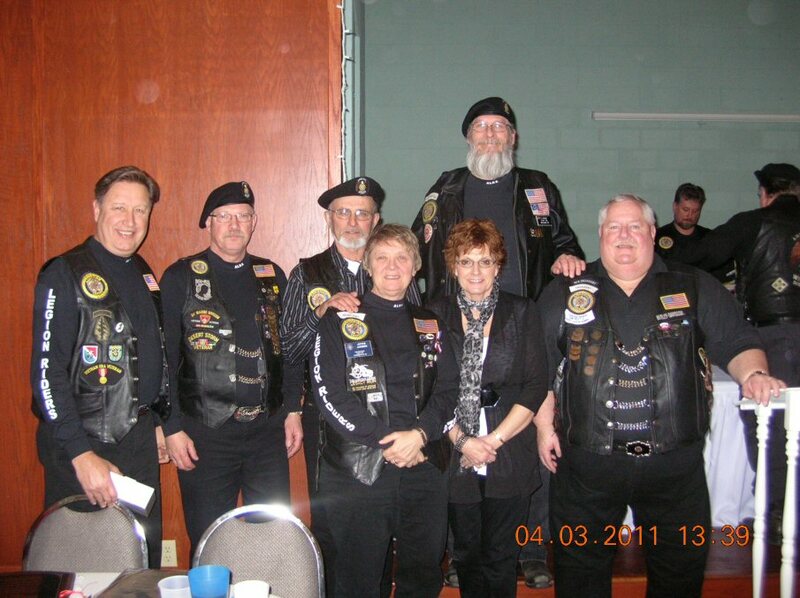 Two dozen Legion Riders, family and friends from 2nd District met at the Harley-Davidson Museum in Milwaukee on Saturday, February 13th for a tour of the Museum followed by social hour and dinner at MOTOR, Harley's on-site restaurant. In addition to viewing vintage bikes and Harley memorabilia, the group got a look at the newest exhibit "Harley's and Hollywood" featuring motorcycles owned by stars Clark Gable, Steve McQueen and seen in hit films like G.I. Joe: Rise of the Cobra and Wild Hogs. 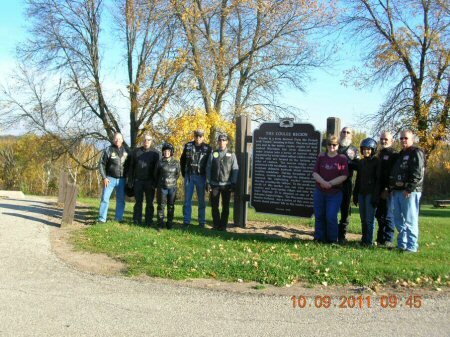 Riders were later seen consuming both MOTOR OIL and GASOLINE (H-D branded beer) with no ill effects! 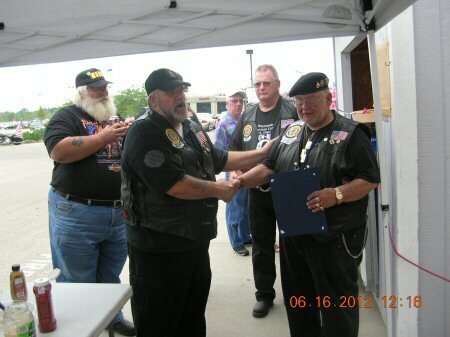 Sunday, June 14th, 2009, Legion Riders of 2nd District visited the camp, toured the facilities, met with residents and presented donations of supplies and gift cards to Camp Director Jim Youngquist to assist in the mission of providing a quality experience for rehabilitating veterans. 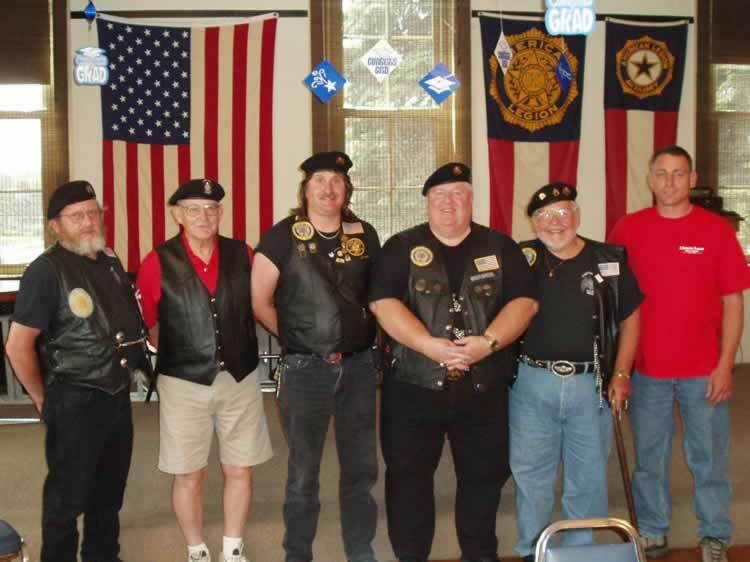 Also, Riders presented the camp with US, Wisconsin and POW/MIA flags which which were specially manufactured with webbing reinforcements and extra stitching designed to provide durability and long service. 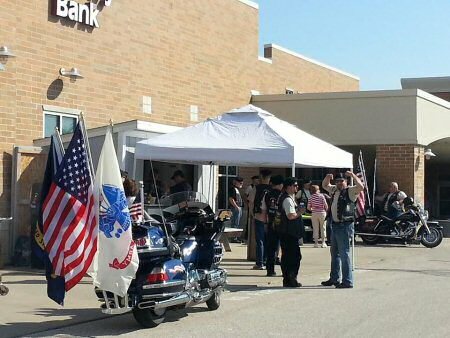 Riders Chaplain Chris Ross led a special Flag Day dedication ceremony with an honor guard made up of several of the Riders who attended. 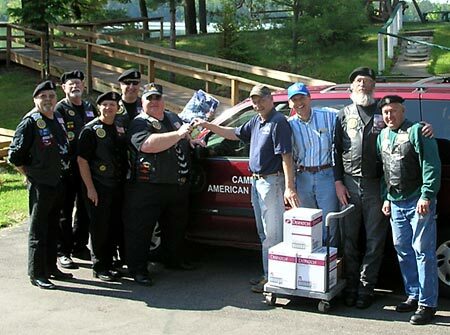 L to R, Dennis Jansen, Ron Lucas, Joyce Jansen, Chris Ross, Riders State Vice-President Elmer Prenzlow, Camp Director Jim Youngquist, incoming camp director Kevin Moshea, Dana Smith, Mike Stephens presenting donations to Camp American Legion. 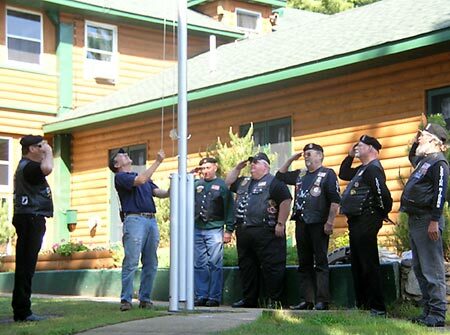 L to R, Chris Ross, Jim Youngquist, Mike Stephens, Elmer Prenzlow, Dennis Jansen, Ron Lucas, Dana Smith salute the colors for Flag Day. 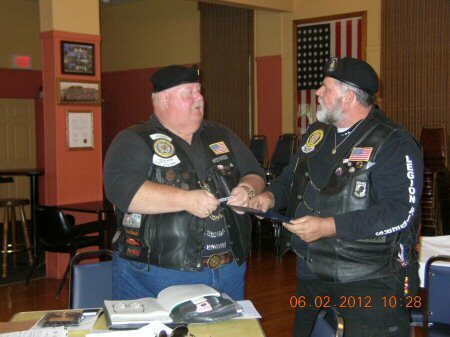 ALRA of Wisconsin, District 2 was formalized on Saturday, June 17th, 2006. 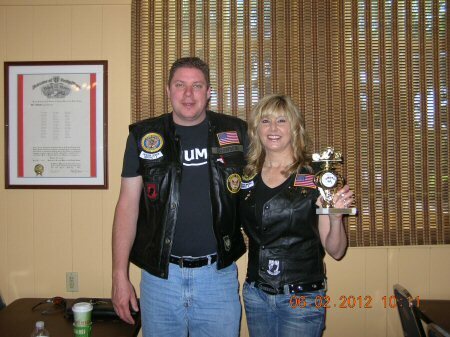 Below are a couple photos of the District 2 officers and members. Congratulations to Elmer and the gang! 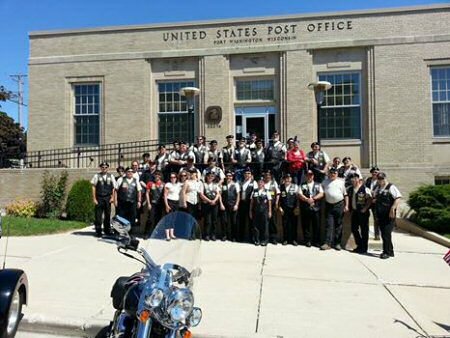 American Legion Riders from Second District participated in three Memorial Day observances on Monday May 26th. 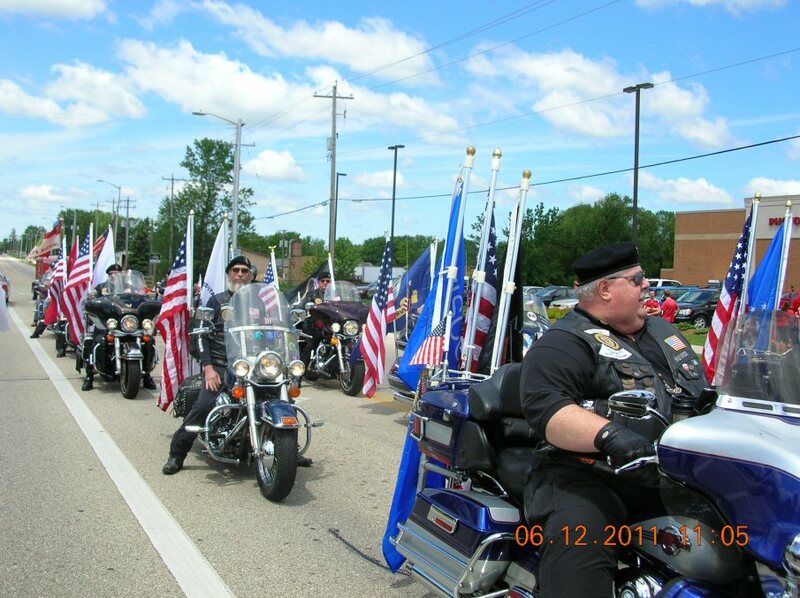 The Riders escorted American Legion color guards at parades in Cedarburg, Mequon - Thiensville, and Saukville. 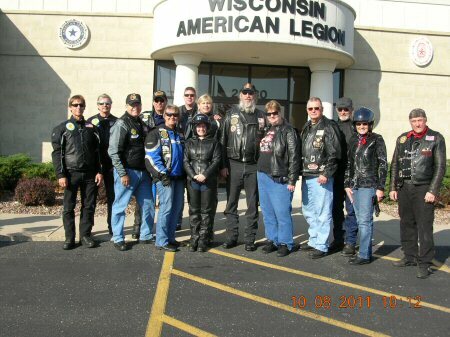 Riders District President Elmer Prenzlow said he was proud of the turnout for the parades because the "Legion Riders are a popular unit at parades with their patriotically decorated motorcycles, and represent the values of the American Legion and its members well". 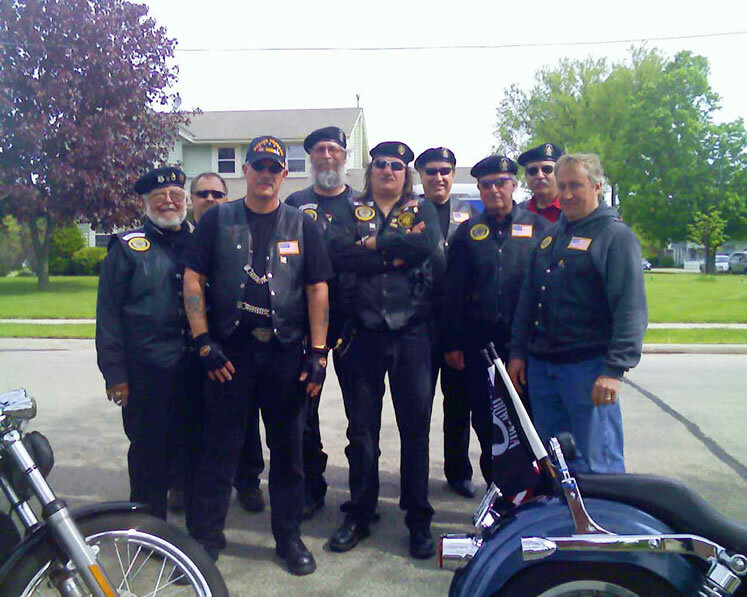 Pictured before the Thiensville parade are (from left to right): Jim Quesnell, Scott Flaugher, Chuck Rantzow, Dana Smith, Ron Gengler, Chris Ross, Ted Kern, George Griffith, and Mike Stephens.